RetroCastaway | Page 4 | Retro Gaming. Retro Computing. Nintendo Mini NES Set for Release in November for 45 quid(ish). Fancy playing some NES classics in front of your telly this Christmas? Well you’re in luck. Nintendo have announced a mini version of their classic console preloaded with 30 classic games. PAC-MAN 256 is an iOS/Android version of the classic game that sees Pac-Man back with some serious firepower to keep one step ahead of Pinky and his mates. Do you want to re-live the good old days of green screen on your massive brand new flat screen TV or monitor? Do you want to enjoy Windows 10 in glorious P1 phosphor the way nature intended? We’re currently on version 10.11 of Mac OS X (“El Capitan”) but Apple’s operating system actually started life back in March 2001 and, as with most things in life, it wasn’t all plain sailing at first (even for Apple) . Classic ZX Speccy retro gaming in your web browser without any of the hassle of setting up emulators. Sounds too good to be true doesn’t it? Well it isn’t. If you don’t believe us just read this post. Some articles contain affiliate links. If you use them to buy stuff we get a small commission. Please see our T&Cs. If you do use one...thanks! 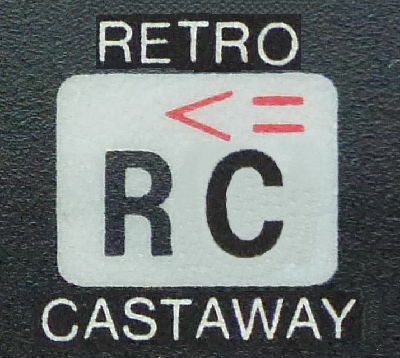 Copyright © 2016 RetroCastAway.Com. All rights reserved. We don't do anything sinister with these cookies, we just use them to count visitors and make the site more fun to use. By continuing to use the site we assume you accept the use of these cookies. To find out more about cookies and how we run this site please see our T&Cs.